Drugs are an important part of health care provision. This becomes particularly obvious when a drug that is about to be used is suddenly unavailable. In their own interest manufacturers are doing their utmost to be able to supply their customers at all times if possible. And if, despite everything, supply problems occur, they endeavor to overcome them as soon as possible. But, as in the case of other technically manufactured products, even in the world of drugs one cannot always prevent scenarios where the quantities required are temporarily unavailable. Supply problems lead to sales losses for manufacturers and are associated with fewer future opportunities in the market place. This is why manufacturers are keen on avoiding supply shortages through reliable production facilities, demand analyses and stock-keeping. This works so well that situations where, despite everything, a certain product is not available, attract a great deal of attention while delivery delays for computer parts or cars are accepted as an everyday occurrence. Fortunately, in most cases, the shortages only apply to certain pack sizes or routes of administration; it is generally possible to switch to other packs or routes of administrations. When it comes to patent-free drugs a switch to another supplier is possible in most cases. even new statutory regulations lead to restrictions if, for example they require changes to the production process or if there are delays concerning the licensing of such changes. In the case of vaccines, another problem is that their production is complex and labor-intensive. Delays in the production process of some vaccines are not unusual because, time and again, problems affecting the multiplication of the required pathogens can occur. The production of a combination vaccine, for example, takes around 12 to 26 months and is accompanied by hundreds of in-process controls and clearance tests in order to guarantee the quality and safety of the end product. When it comes to influenza vaccines in particular it is impossible to keep stocks: They are supplied directly after production and regulatory release in the autumn. Every year, new influenza vaccines that match the ever-changing influenza virus strains are needed. Since the production procedure needs to be adjusted to the changed virus strains, which is a time-intensive process, production cannot start immediately after determination of the seasonally relevant virus strains by the regulator. Furthermore, at times there are problems concerning the multiplication of individual virus strains. All of this can lead to a situation where some or all manufacturers cannot supply the planned quantities on time. As far as the causes of specific delivery problems or the recall of individual drugs are concerned, it is only the respective producer that can provide information. As there are many different reasons for supply shortages, a standardized one-fits-all solution does not exist. Each situation requires a specific solution that needs to be agreed with the regulatory body. A producer, for example, who has been let down by his supplier several times is going to find another source of supply. Before, however, the products of this new supplier can be used, extensive quality assurance measures must first be undertaken. Fortunately, it is rare that the delivery problems of one producer lead to difficulties affecting patient supplies because other producers of drugs with the same or similar active ingredients can fill the gap. In the case of currently unavailable vaccines, for example, the Paul Ehrlich Institute, the competent drug authority, provides information on its Website as to which vaccines can be used instead of the unavailable one. Another helpful tool is a list on "supply shortages of medicines for human use", which has been published by the German licensing bodies since the end of April 2013. It contains manufacturers’ notifications of supply shortages covering, in particular, drugs that are earmarked for the treatment of life-threatening or severe illnesses and for which there are no alternatives. This continually updated overview is helpful to users (e.g. hospitals) as it enables them to better prepare for announced shortages. It can also help to ensure that other producers increase their output on time. The fact that, by the end of October 2017, 133 of the 154 supply shortages that were initially registered, have been removed from the list shows that many individual supply shortages do not constitute a permanent inability to deliver. On the other hand, manufacturers cannot simply increase their output "on demand" even if this inability means a loss of sales because it takes months from the first production step to the finished drug. This applies in particular to vaccines, genetically engineered products and cytostatic drugs for cancer treatment. Furthermore, in some cases, chronically ill patients cannot simply switch their permanent treatment to a similar drug made by a different manufacturer without risking adjustment problems as to efficacy and side effects; this is, for example, the case with regard to insulin products. 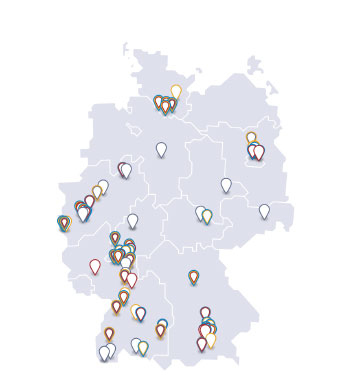 Since September 2016, representatives of the German Ministry of Health, the drug regulators BfArM (Federal Institute for Drugs and Medical Devices) und the PEI (Paul Ehrlich Institute), medical societies, the drug commission of doctors and pharmacists, pharmacists and wholesalers as well as four pharmaceutical associations have been attending a regular "Jour Fixe on Delivery/Supply Shortages" to discuss the supply situation and measures to minimize supply shortages and work out concrete proposals to improve the supply situation and information in the event of shortages. In 2017, the supply shortage list was changed into a database and further details have been added to the registration form.